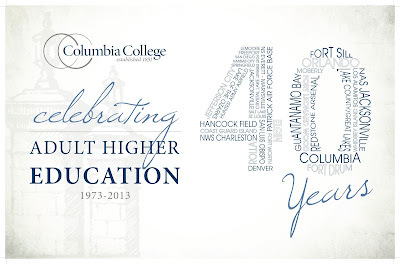 The Division of Adult Higher Education (AHE), the division responsible for creating each of the college's 34 Nationwide Campuses, the Evening Campus in Columbia, Mo., and the Online Campus, turns 40 this year! 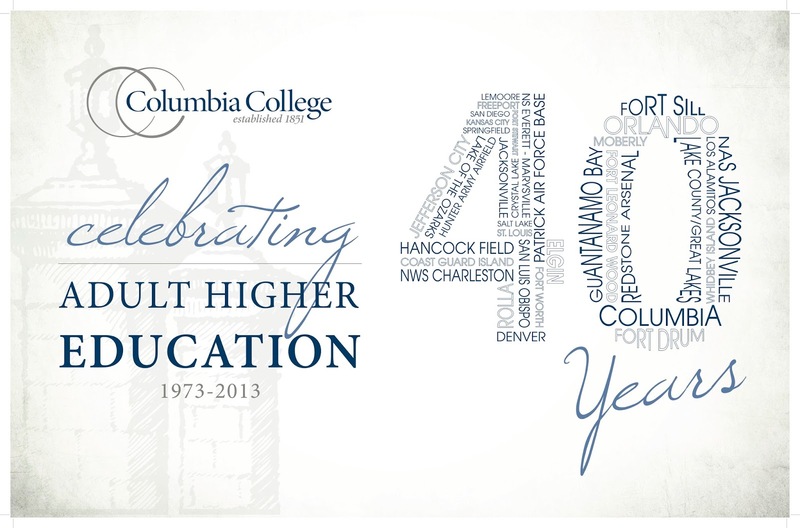 AHE’s 40th anniversary will be observed throughout the college on Aug. 29. The date was selected to coincide with the rededication of a remodeled St. Louis campus, the place where the division first started. Check with your campus office about anniversary activities. Check out the Spotlight story on the Columbia College homepage to read about the history of AHE and how it all got started in St. Louis as a means to serve military personnel. Then be sure to check the Spotlight after Aug. 29 for an update about and photos of the St. Louis campus event, and keep an eye on Compass for pictures of your own campus' anniversary festivities!